With the advent of commercial spaceflight, more people will be travelling into space, and they’ll need something to wear. 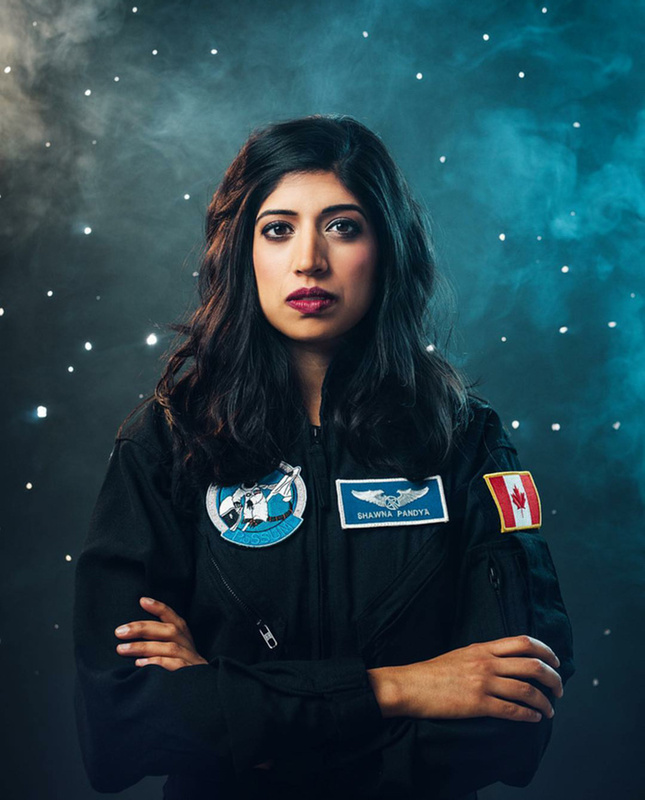 This week, at a lab inside an Ottawa airport, astronaut candidates have been trying on a new prototype of a commercial spacesuit, giving them a test run so researchers have a better idea of whether they’ll stand up to the rigors of life in space. 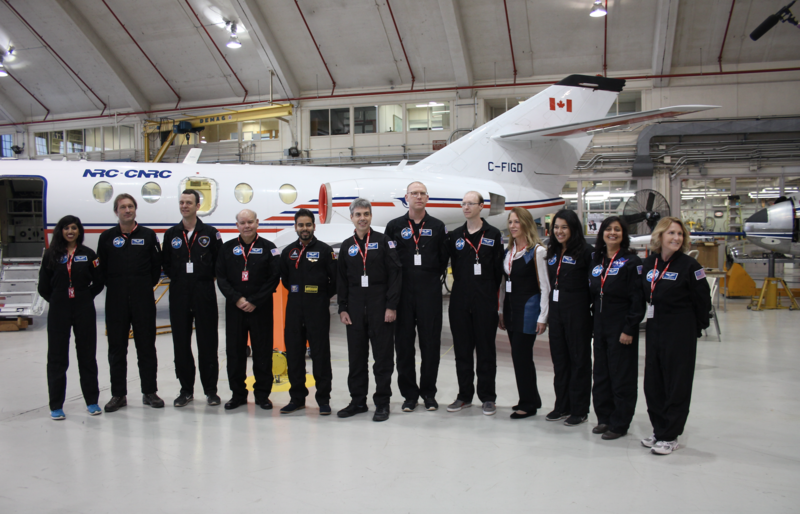 I paid a visit to the National Research Council of Canada’s (NRC)’s flight research laboratory, which is home to a Falcon-20. The twin-engine business jet was to be used to simulate microgravity by flying in parabolic arcs, near freefall, providing a way to test out the suit prototype. 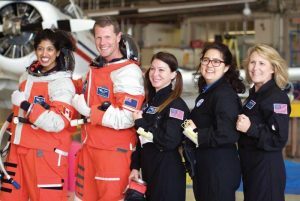 I got an early look at what commercial space adventurers and researchers could be wearing when venturing into low Earth orbit in the future—part of a joint initiative by citizen science group Project PoSSUM, and Final Frontier Design (FFD), which makes commercial spacesuits, all hosted by the NRC. The hangar was filled with experimental planes. 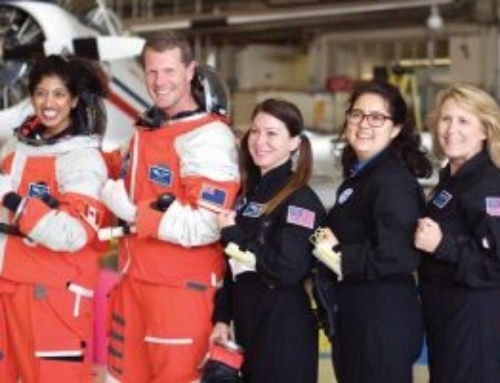 Women and men of Project PoSSUM, all wearing matching black jumpsuits, turned their attention to Shawna Pandya, a medical doctor and Canadian astronaut candidate, as she pulled up the baggy orange legs of the spacesuit. 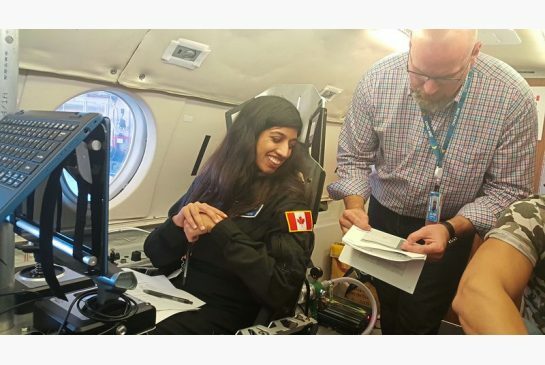 It was the first of four days of testing, and the objectives were simple: get in and out of the jet which, later in the week, would fly Pandya and another astronaut candidate in parabolic arcs over the Canadian countryside, as they wore the spacesuit prototype. The FFD crew seemed very protective about the design of the suit’s interior, but the outside looked like what would happen if you added breathing tubes to firefighting gear. On the feet, it had what resembled built-in hiking boots. A round glass visor slid closed over the face to allow for full pressurization, but that feature won’t be shown off until a different test at a future date. 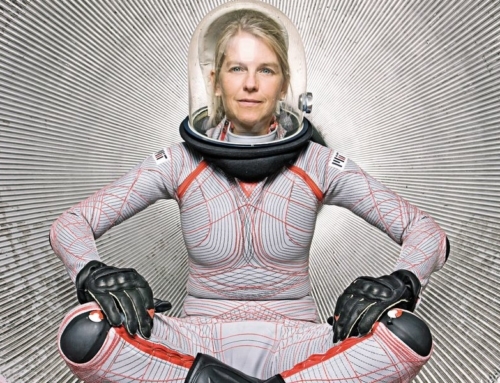 I pulled FFD president and designer Ted Southern aside to ask why we need new space apparel. 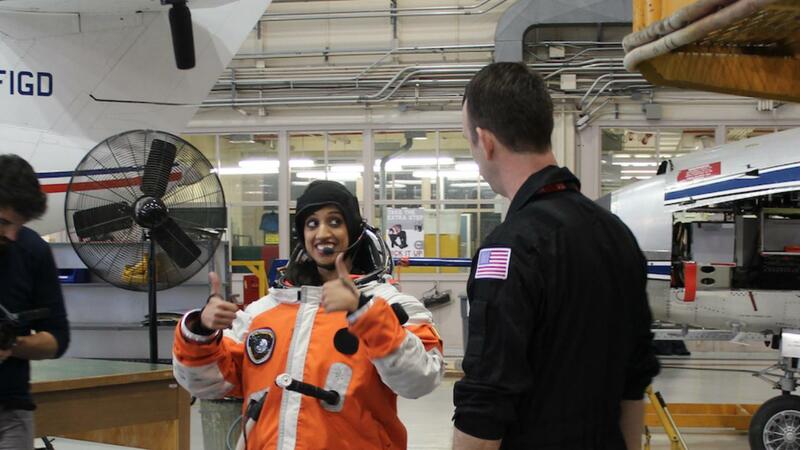 “The next-generation suits coming out of NASA are not optimized at all for commercial applications,” said Southern. NASA currently needs an intra-vehicular activity (or IVA) spacesuit tech for long-distance missions to Mars or the Moon, he explained. These face very different requirements compared to what’s needed for short flights to low Earth orbit, which is where commercial spaceflight companies will focus their activities, at least in the foreseeable future. 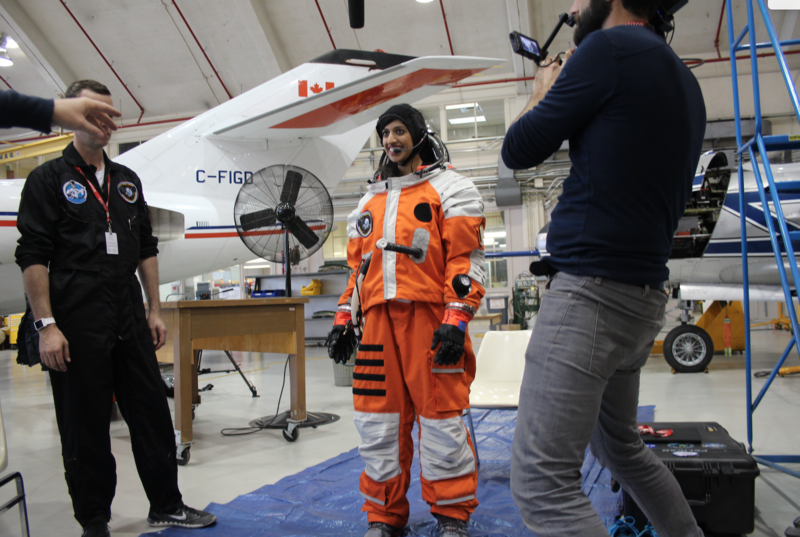 Designers at FFD have shifted their priorities to comfort and sizing, so that people actually want to wear these suits when they fly. 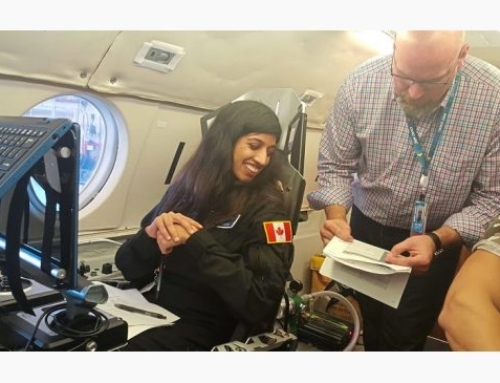 The tests in Ottawa are designed to test the user’s ability to perform maneuvers that include reaching for instrument switches, and moving into a specially designed seat. All of this in zero g.
“We have taken some inspiration from biker jackets and things like that for mobility elements,” Southern said. They’ve replaced older material like neoprene with lighter and stronger bonded fabrics like dyneema. “[Dyneema] is a high molecular weight polyethylene that has much better strength-to-weight ratio than nylon. 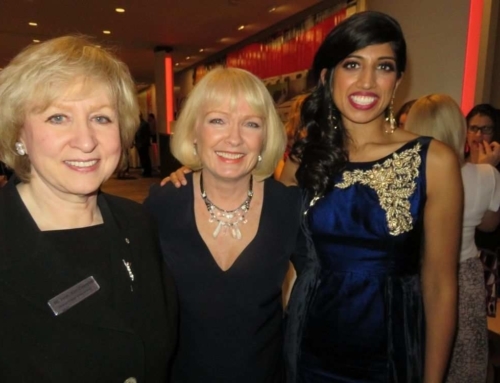 Materials innovations like that are hugely influential,” he explained. 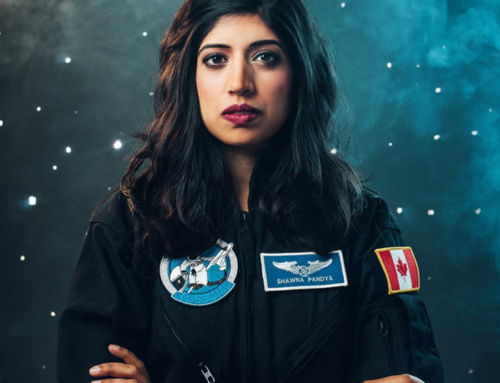 But many private space companies are looking to fly with no suits during the launch or descent. This has prompted FFD to pivot slightly: they have begun participating in NASA trials for EVA equipment, and are looking to make gloves for firefighters, for example. Despite this, Final Frontier and the Project PoSSUM team take the lessons of Soyuz 11 very seriously. During the landing of that Soyuz capsule, in 1971, the cabin depressurized, killing the three cosmonauts. The spacecraft was redesigned so that occupants could wear spacesuits.